One tradition of Christmas is topping your tree with a special ornament aka tree topper. 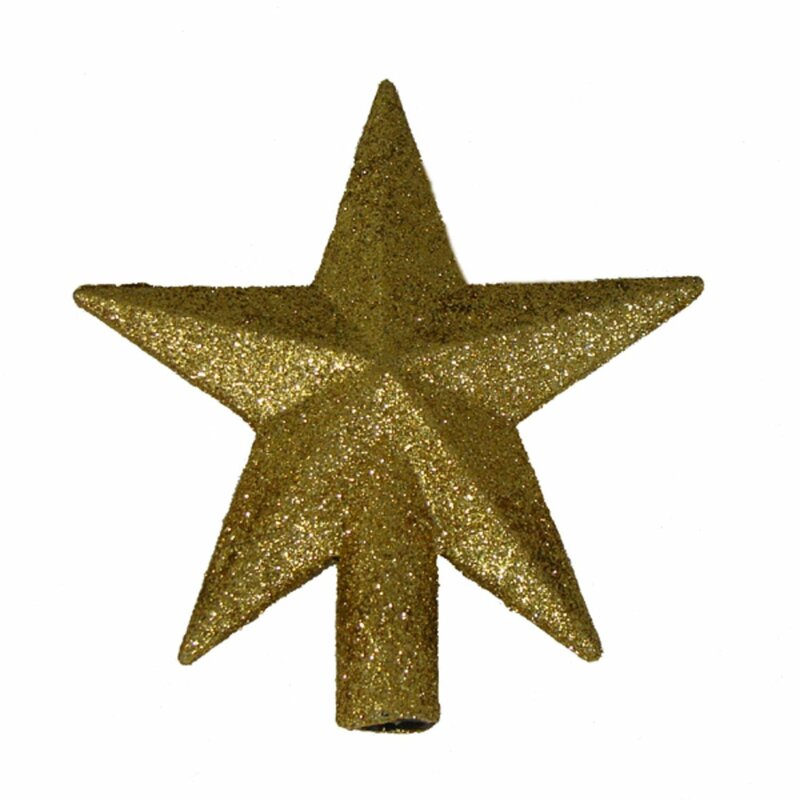 The most common tree toppers that people use is an angel or a star. Both are symbols in the story of the birth of Christ. The angel instructed Joseph where and when to travel, while the star directed the wise men in their journey to the newborn king. An angel and a star aren’t the only tree toppers to use, people get creative when making their own traditions. What’s interesting is coming across people who are dead set on using one particular tree topper. 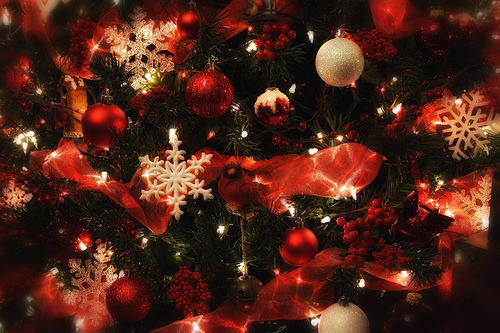 I grew up with both, an angel and a star, in mind to go on top of the tree. We always used a star that lit up when you plugged it in, but I also had an angel tree topper that I won at a Wurst Mart one year. I can’t recall if we ever got to use my angel though and it has long since been lost in storage and moving around. I never even gave it a second thought about which one is “SUPPOSE” to go on top of a tree. One year while away at school I attended a tree trimming party at a youth group leader’s house. While there, the youth leader sat everyone down in his living room and began a discussion about the months prior to that. He then thanked everyone for attending the party and stated that before each one of us left, we had to hang an ornament onto his tree. That was when he directed the conversation about what went on top of a Christmas tree. When the youth leader met his wife and then married her, they found that they did not agree on which tree topper to use at Christmas. One grew up with the tradition of placing a star on a tree while the other grew up with the tradition of placing an angel on the tree. Instead of deciding between the two tree toppers, the couple came to a compromise and decided it was time to start their own tradition.Rather than picking between a star or an angel, the couple uses a crown of thorns to top their tree. I really loved how they worked through that dilemma of theirs and came up with an original idea for their tree topper. Not only was compromise a reason behind this new tradition, but the couple also wanted a tree topper that focused on Jesus.Currently: A tree topper is one thing that I am lacking for my tree. I’ve seen a beautiful one at Target that I would love to buy, but I’ll keep my fingers crossed in the hope that it’ll still be there for the day after Christmas sell. Since I have two trees I have two tree toppers to buy. In this case, I could use both a star and an angel! Sadly I have to deal with a bare top tree until I acquire a few toppers. Like with my plant Christmas tree, I’ve gotten a little creative with this subject. While going through a closet, looking for wrapping paper, I came across a Grinch I bought at a garage sale in high school. I wanted to set him in the living room along with the rest of my Christmas decor, but where was I going to put him? I don’t have any shelving in my living room and I can’t just sit him anywhere. If my dog sees him, he’s gonna think he’s one of his toys. That’s when the idea struck me that I should use my Grinch as a tree topper! You really make it appear really easy together with your presentation however I find this topic to be really one thing that I believe I’d by no means understand. It seems too complicated and extremely broad for me. I am taking a look forward for your subsequent publish, I’ll attempt to get the hold of it! I’m not certain the place you are getting your info, however great topic. I must spend some time learning much more or understanding more. Thank you for fantastic information I was on the lookout for this information for my mission. hi!,I love your writing so much! share we be in contact extra approximately your post on AOL? I require a specialist in this space to solve my problem. May be that’s you! Taking a look forward to see you.